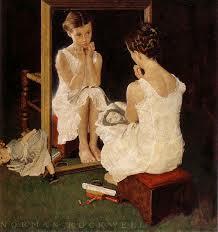 Uncover the mirror and stare at yourself for just a moment. Silence your inner critic when you do this…this is the point. Beautiful – in a way that ONLY you can be. Unlike any other – and that’s the way it SHOULD BE. Just stare in quiet reverie for all that you have done. For every painful, joyful, difficult, laughable, lovable experience that has brought you to where you are this very moment and know this to be REAL and TRUE – YOU ARE ENOUGH! You are enough of whatever you think you are not. The notion that you need something more, or something less, to make you whole is just a lie that’s being sold to make you feel inadequate. Do NOT buy in to it? You are smarter than that. You are enough to start something new. To change what isn’t working. You are enough to own this moment as your very own moment to shine. You are enough to create something for the whole world to see. You are enough to make a difference. For heavens sake you already do. Take off the HOLD button that has you paralyzed with fear, that has you convinced that you need to wait UNTIL you are enough. Press PLAY and RECORD at the same time and START. Do not wait one more day to play big in your own life. Because the truth is this…you ARE MORE THAN ENOUGH. This IS your life now. What are you waiting for? Whatever you don’t know YET, you WILL figure out as you go. Isn’t that what you have always done? Now look at yourself again. Do you see something different? Do you see brilliance and creativity? Do you see that what you have right now is enough? Is that little voice of doubt getting more distant? Silence her with stronger, bolder words. With thoughts that serve you. Silence her with ACTION and PLAY. I – AM – ENOUGH!